A warm welcome to Edition 58 of the Railwaymedia blog, once again I've only just managed to squeeze one in this month, photograph taking tends to go from famine to feast so I'm either too busy taking them and then processing them to write a blog or there's nothing to report! Once again buses have featured more than anything this period, there is little of interest on the railway at the moment and I am on catch-up photographing buses after many years not bothering. After getting back from Latvia nd Lithuania (see blog number 57) the first few trips were purely bus based, with day trips to the Lake District and the Isle of Arran along with a few odd hours here and there locally. 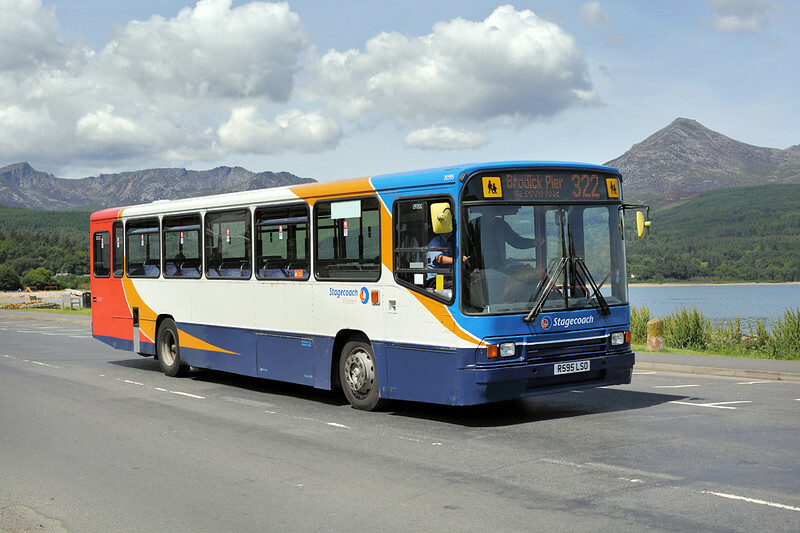 The visit to Arran was due to Stagecoach, the main operator on the Island, still having a fleet of elderly Volvo single deck buses and Mercedes minibuses that have largely been withdrawn from depots throughout the rest of the country. Changes may be happening here in October when I believe the contract for the Islands bus services is up for renewal. About the only thing still of interest on the West Coast Mainline through Preston is the Colas Log Train. 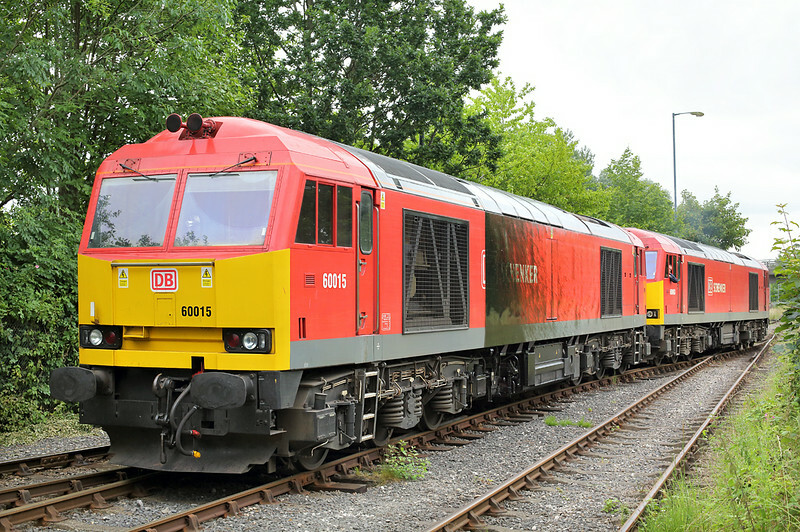 After a period of haulage by their class 56 locos, unreliability has forced them to revert, unfortunately, to using class 66 engines again. 66847 seems to be the loco of choice since the change, the only advantage of that being that particular example wasn't one that I had photographed on the train in years previously. With a choice of engine classes now they have both class 60 and 70 to play with it was only a matter of time before a new class 70/8 turned up, although so far it hasn't been a regular sight and 66847 is still plodding round on the daily circuit. 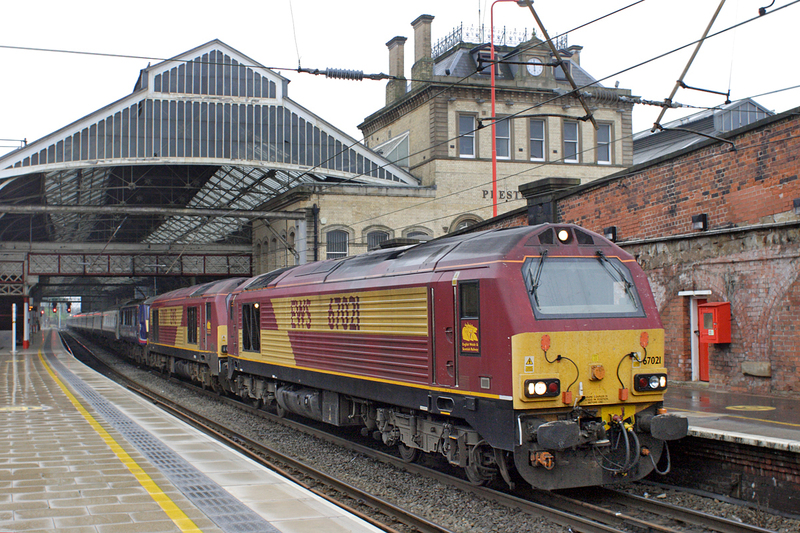 Buried on my website is a gallery displaying all the pictures I've taken of the log trains on the WCML over the last 10+ years, if you are interested please look HERE to see all the different locos that have been used. I had to go to Birmingham with work a few weeks back so thought I'd take the opportunity to see if any of the Midland Metro's new trams were on test. Track laying has begun on the City Centre extension in Birmingham, the most obvious sign being a set of points installed outside New Street station. There were about 10 of the new CAF trams visible on the depot, one of which I did see shunting about, however I didn't see any out on the mainline. One tram I didn't know they had though was number 11 out of the original batch of Ansaldo Breda vehicles that has been repainted nicely into Birmingham Corporation livery. Apparently it's been like that for a year. A couple of odd bits of excitement in the Preston area over the last month or so. 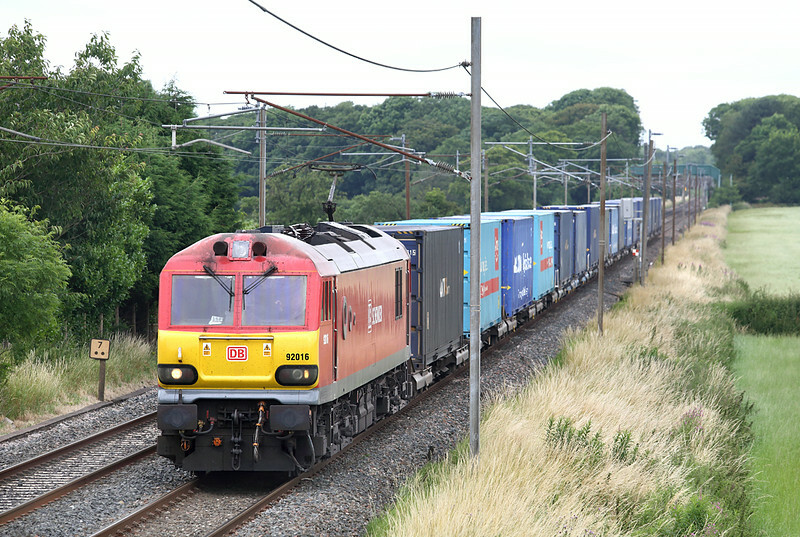 Early in July the Preston Dock oil train was about 3 hours late after 60015 broke down near Scunthorpe, fairly terminally judging by the amount of oil streaked down the side when it arrived being dragged by another member of the class. 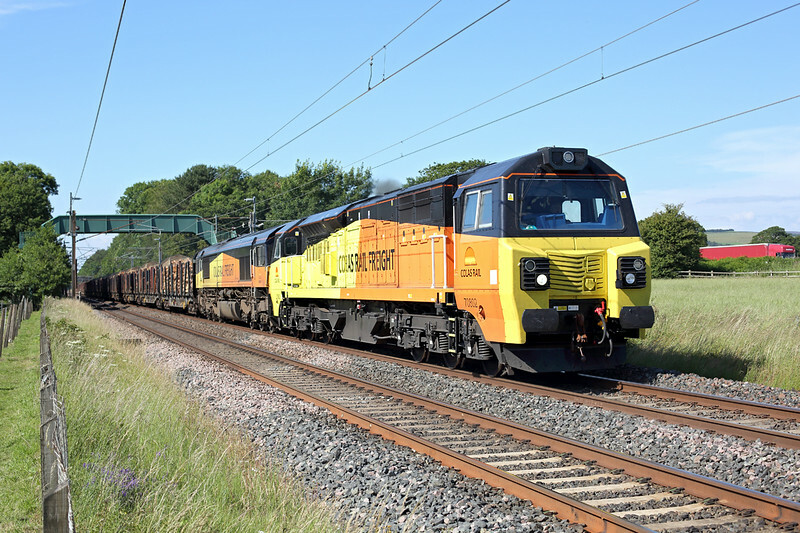 Another breakdown more recently was the northbound 'lowland' sleeper when 90019 carelessly lost its pantograph south of Stafford and itself arrived almost three hours late being hauled by a pair of 67s. Picture of that is HERE, the nicer one of the 60s is below. More bus orientated trips took place between these two days, usually coupled with the obligatory visits to Wetherspoons that I haven't yet had a pint in. There's lots of areas I need to still go to so at the moment the basis of where I end up is usually a function of where the best weather is and if there are any buses or trains in that area I need to get before they are withdrawn. North London didn't really fit into that latter catergory but weather and a lack of planning meant it was the easiest option. I got a few bus and tube pictures as I wandered about but, as the likes of Hackney and Stanmore aren't very photogenic, there wasn't really much to write home about photographically that day. I should get down South Wales more often; the other trip I made I did indeed make that effort. It was based on an area where I needed to visit several Wetherspoons, so the day saw me alighting at Abergavenny, traversing several of the Valleys and ending up in Pontypool. 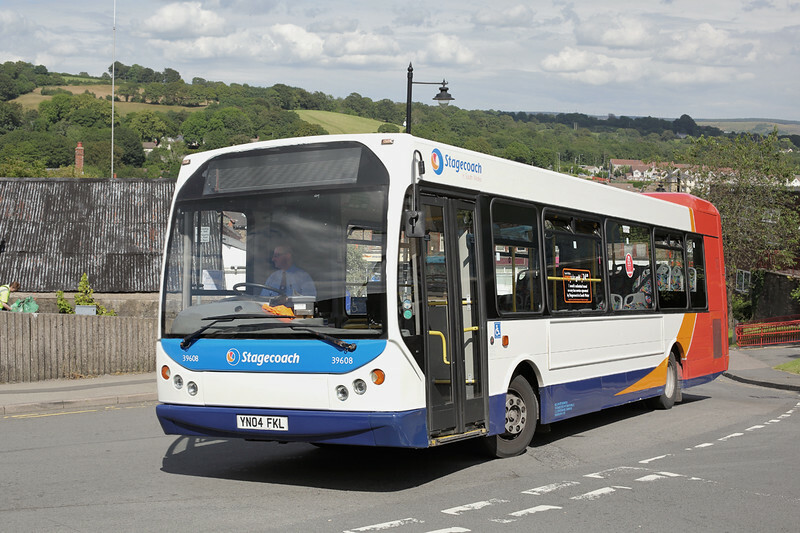 It had the advantage of getting a few bus pictures before big changes are made to the Stagecoach network in the area as a result of funding cuts by the Welsh Government. Increasingly the lack of funding for the Pensioners free bus passes is causing operators to remove routes as they become unprofitable. In many cases this means the Council then has to fund a replacement subsidised one at a higher overall cost. A few days after this was the annual Open Day of the Merseyside Transport Trust at Burscough. This is now home to the sole remaining LMS Class 502 EMU which suffered from many years outside at various places so an awful lot of work needs to be done to replace all the corrosion damage. At least it is in dry storage now. The Open Day also features a program of trips operated by the collection of buses based at the site, plus some visitors. 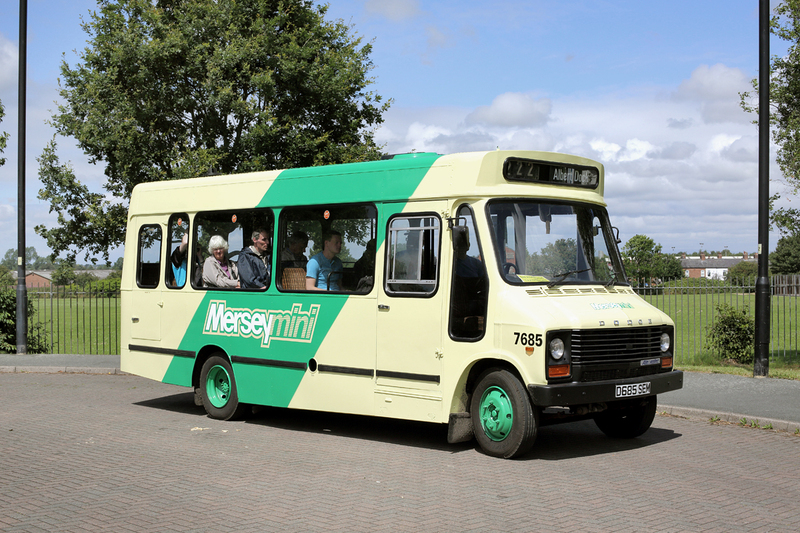 One highlight for me was a ride on former Merseybus Dodge minibus 7685, a type that isn't common in preservation, but a superb job has been made on this example. 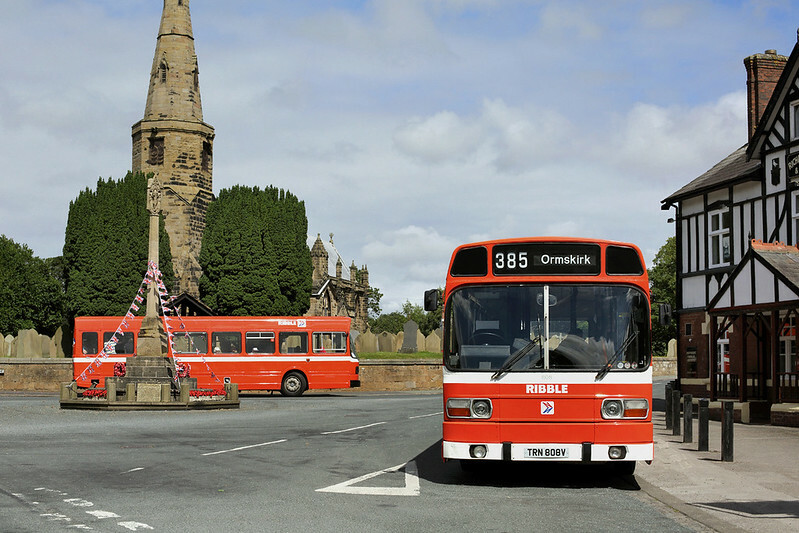 I travelled on them regularly when I was at school so that brought back memories, as did the other highlight for me which was two ex-Ribble National Bus liveried Leyland Nationals which operated a short return trip to Halsall where a nice photo opportunity was staged. After not having been to my old regular photo location of Brock much in the last few years I went twice in a week. First was for the Colas class 70 already mentioned but the other was for a test run of a pair of new class 350 Desiro EMUs for London Midland. The weather wasn't fantastic but it was an opportunity to see what the replacement of the Level Crossing with a footbridge had done to the photo angles available. The former shot over the hedge is still available, providing you have a step ladder, but the view from the small footbridge over the river has been more or less ruined. There is one new angle from the footbridge steps but it is very tight due to a stanchion in the way and requires full 200mm zoom and probably no one else to be there to get in the way. There also appears to be work erecting pallisade fencing at various points between Preston and Lancaster at the moment, quite unecessarily in my opinion, so there is a chance in a few months time the shot from the field at Brock my be ruined too. I will keep you informed. The only other trip to report I've made in July was this week when I had a day visiting Surrey and Sussex. Again it was a mix of buses, trains and Wetherspoons that was the reason for that area being selected. I made my way to Chichester via Redhill, Crawley and Horsham returning via Burgess Hill. I would've liked to have had time to visit the Hove Wetherspoons and to get some pictures of buses on the routes there I used to drive but there wasn't time. 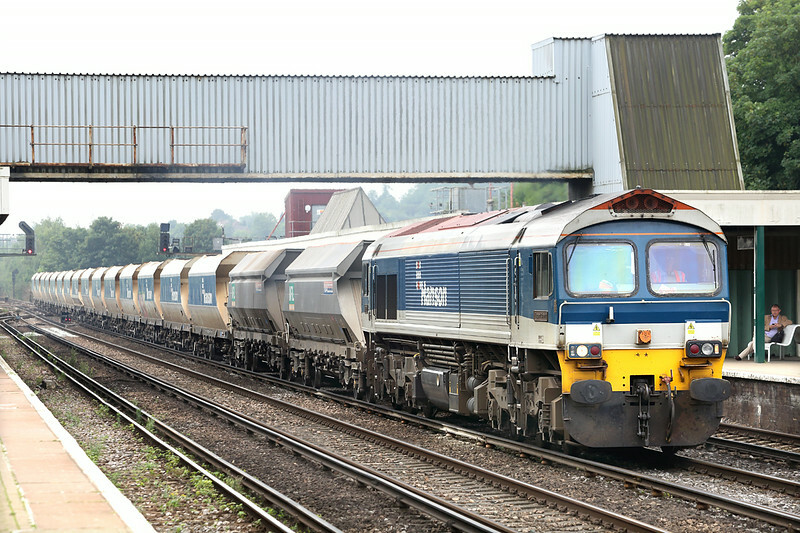 Thanks as always to the Real Time Trains website I managed two freight train pictures at Redhill which I wouldn't have known about without that excellent resource being available, although the weather wasn't as forecasted. I'm still working my way through the bus pictures of that day, but these and all the trips mentioned are now up on my website in either the New Additions section for those taken in the last 4 weeks or so or in the Trips section for those older ones. Now it's school holiday time I will probably not get enough peace and quiet for the next month or so to enable me to sit and write the next edition of this blog, the only trip planned so far is a few days in Germany with the family: fingers crossed I shall get a little of time to photograph something whilst I am over there. Thanks as always for taking the time and trouble to read this, I hope any information is of use to someone in planning a visit or trip anywhere I've been, please feel free to contact me via my website if you want any further information about anything I've mentioned. 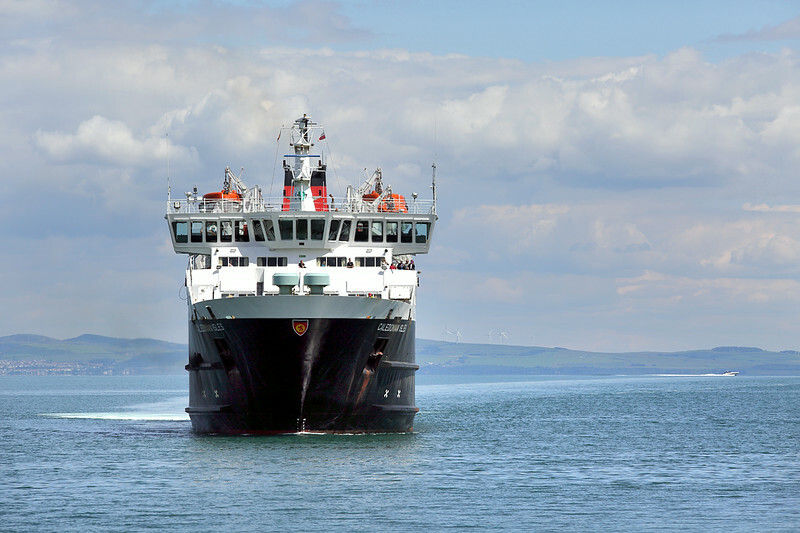 I'll leave you with a nice boat picture, the Isle of Arran ferry coming into Brodick, bye for now!